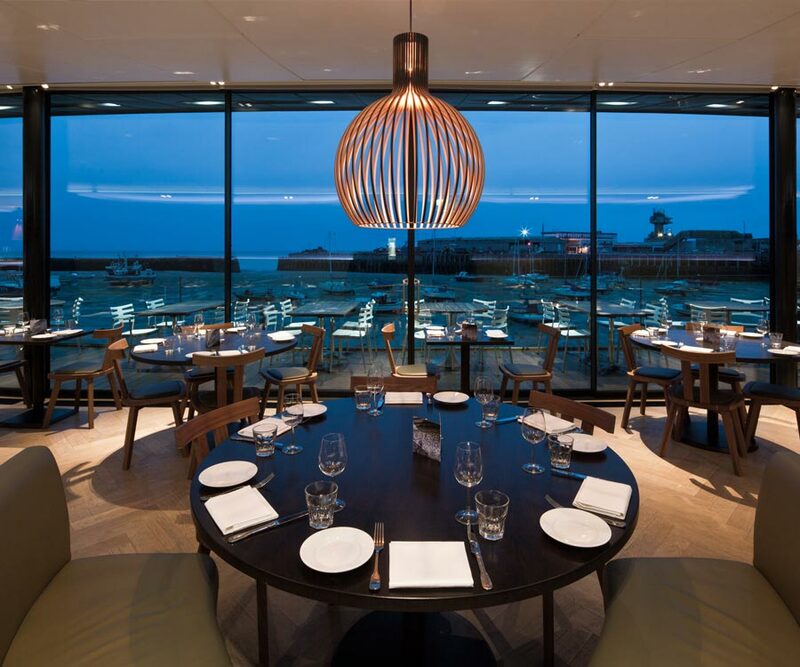 A subtle, highly efficient and cost effective lighting scheme for the highly anticipated "new destination" seafood restaurant in Folkestone, Kent. Rocksalt was the first building to be realised of Sir Terry Farrell's masterplan for Folkestone Harbour. The site is situated in a corner of the tidal harbour, between a listed brick viaduct and a cobbled street. It faces the former fish market; local fisherman still today off load their catch onto the ancient slipway immediately adjacent to the restaurant. Due to the nature of its immediate locality, the design concept had to take a respectful account of the environmental impact of the building on its surroundings. Local residents were highly sceptical about the plans so the resultant architecture had to hit the perfect balance between a seamless incorporation into its rugged surroundings and a contemporary gastronomic venue intended to put Folkestone on the map. 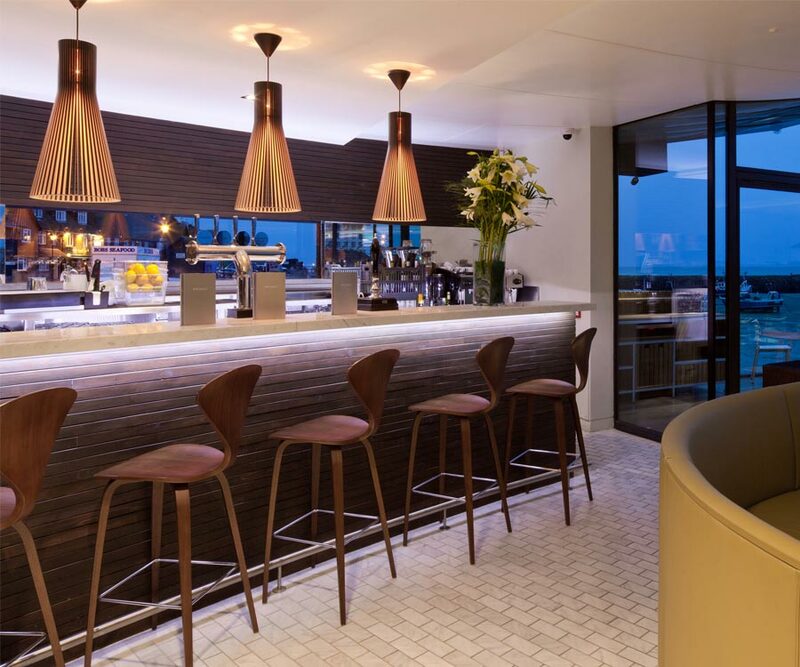 Light IQ was introduced to the project in January 2010; brought in by Guy Hollaway Architects with whom we had forged a very successful working relationship, winning a prestigious RIBA award together. Time and budget restraints were introduced immediately; a handover deadline was imposed to allow the restaurant to be the base for the second Folkestone Triennial. The design also needed to be highly cost effective. Our introduction early in the process, allowed for a very organic approach to the interior layout. Lighting was to be integrated into the architecture to guarantee a subtlety to the interior belying the immense architectural craftsmanship, but accentuating the understated atmosphere. Light IQ's intention was always to allow the gorgeous view, and fantastic aspect, of Rocksalt to command the interior space. 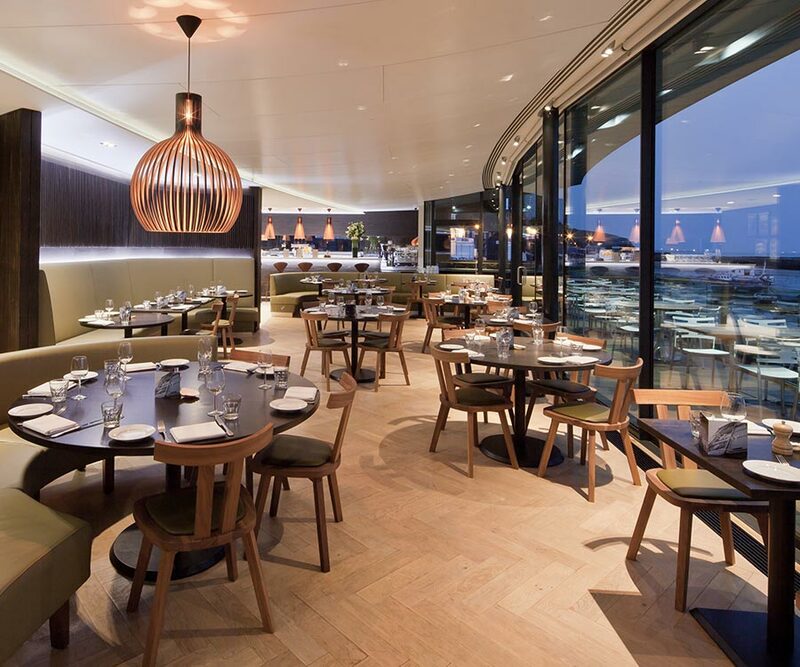 Owing to the wide sweep of glass giving a panoramic view of the harbour, the balance of natural verses artificial light was a key concern, along with the allowance of flexibility for table layout positioning. 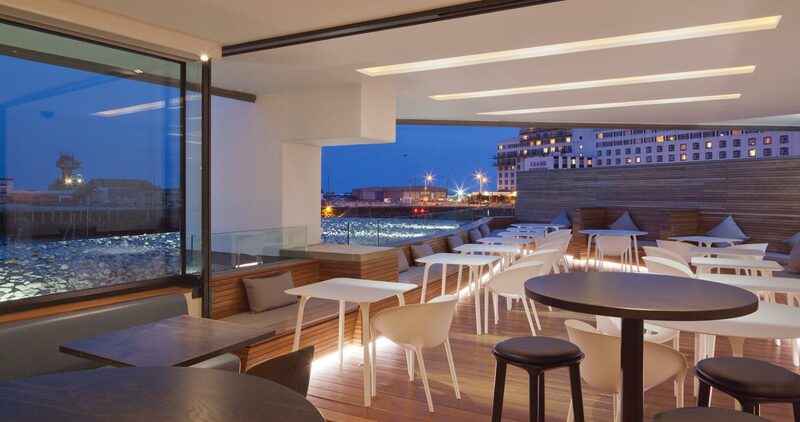 Light IQ moved intentionally away from the trendy modern installations seen in London venues and embraced the softer coastal aesthetic of Folkestone harbour to inspire the lighting concept. The use of natural materials for the pendants helped to avoid distraction from the view, and the ceiling was left almost untouched in an effort to keep to a clean and minimal look. Soft coffer lighting, shadow gaps and discreet decorative elements predominate. Spotlights, if any, for task lighting onto tables, were kept as concealed as possible inside light slots, sometimes combined with linear LEDs for a soft, indirect glow of light. On the first floor, exterior skylights were mirrored internally to create an uninterrupted form throughout the space. 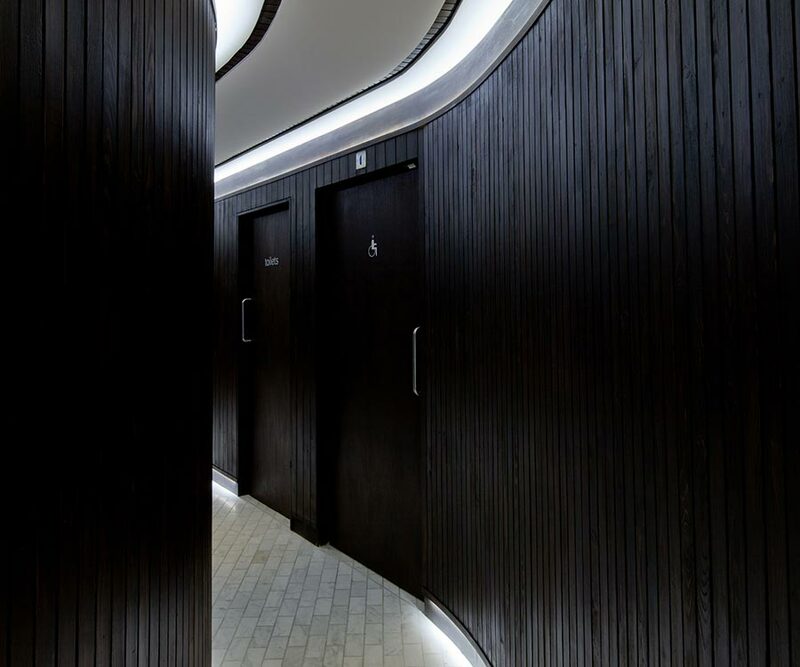 The curved features of the architecture were combined and accentuated with complementary lighting, keeping the look seamless yet affording general light with no disturbance of the aesthetic.